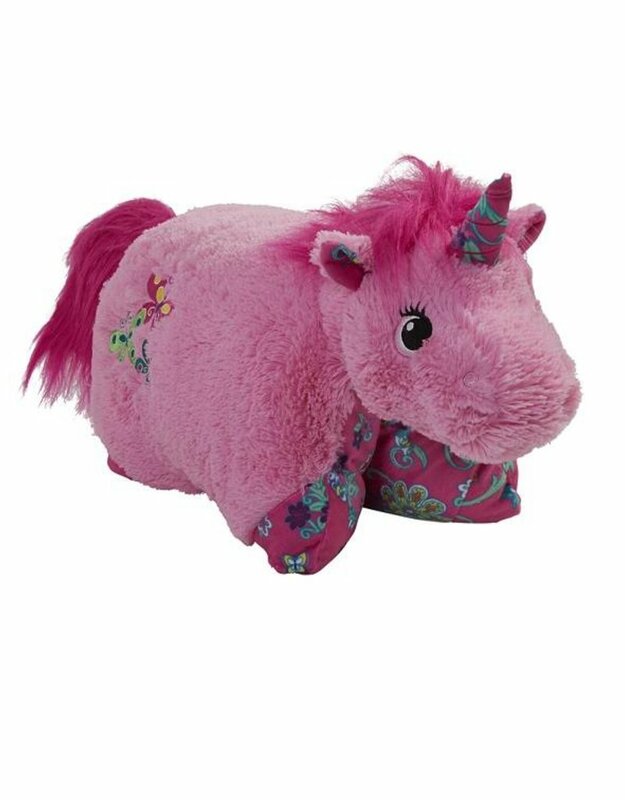 The Pillow Pets Pink and Lavendar Unicorns are the most enchanting stuffed animal/pillow you can find featuring bright colored plush and lovely flower-patterned fabric on the bottom. Kids of all ages will enjoy a touch of room decor along with the practicality of everyday use as both, a toy for imaginative play and a pillow for television, bed or travel time. 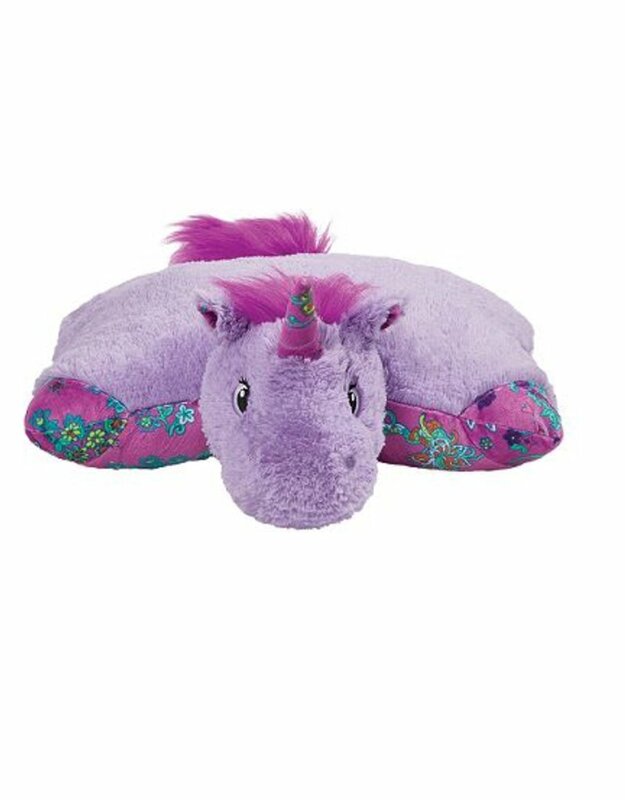 The Unicorn Pillow Pet is an ideal nap-time companion – not to mention a perfect accessory for road trips or airplane rides. 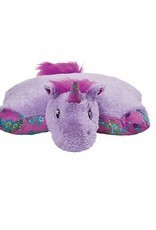 Pillow Pets® are anything but just another pillow. 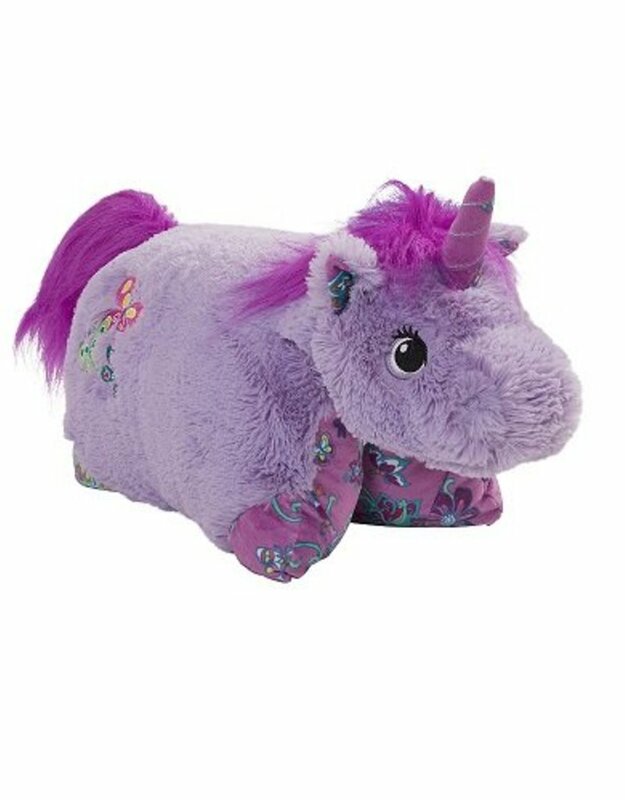 Starts out as your pal, then unfasten its belly and quickly becomes a functional pillow! Opens to an 18-inch pillow. 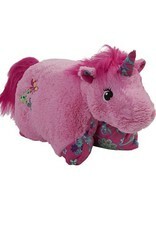 Made of high-quality washable chenille. BPA-free and Phthalates-free materials. 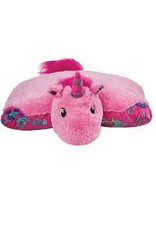 SPECIFICS: Official Pillow Pets product. 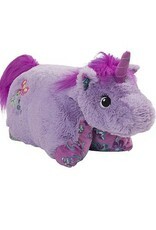 Unicorn stuffed animal and pillow made of high-quality chenille and BPA-free materials. 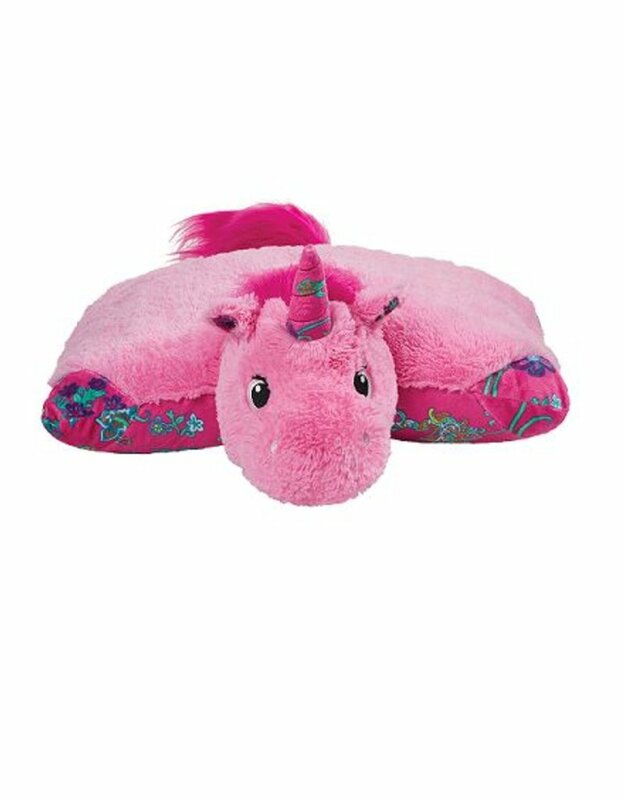 Opens to an 18-inch flat stuffed toy.